With loan amounts up to $1.5 million and interest rates significantly below comparable jumbo products, there’s no better time to consider jumbo VA loans! An eligible veteran is a person who served on active duty in the Army, Navy, Air Force, Marines, or Coast Guard, and who, (except for a service member on active duty) was discharged or released from active duty under conditions other than dishonorable; or Members of the Reserves and National Guard are eligible upon completion of 6 years of service; or Unmarried surviving spouses of veterans who died as a result of service or service-connected causes. If the loan amount is $484,350 or less please see our Conforming VA Loan page for details on our no money down VA loans. 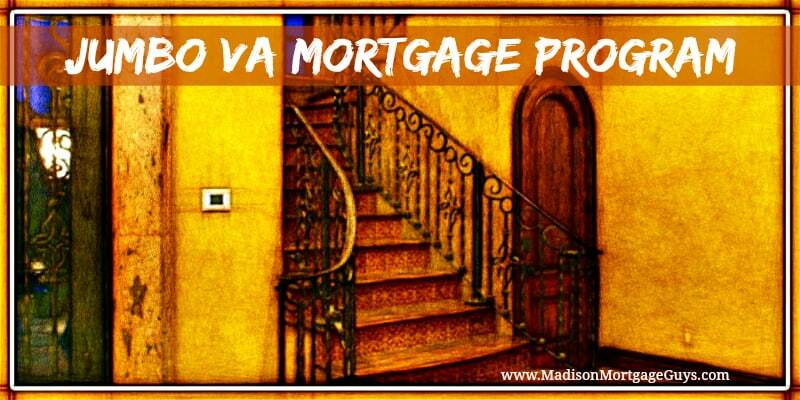 The maximum loan to value, inclusive of the VA entitlement, is limited to 75% of the lesser of the sales price or appraised value. For loan amounts greater than the conforming limit, (currently $484,350), this requires the borrower to provide a down payment.